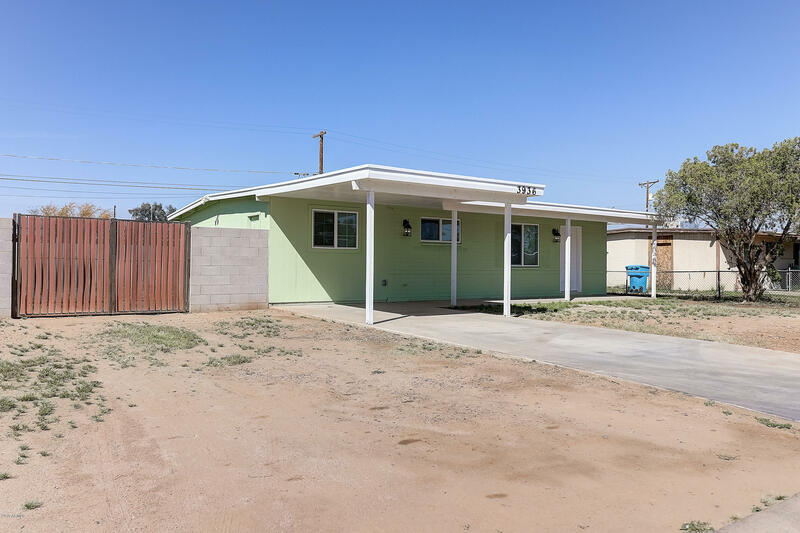 Charming,Remodeled and Affordable 3 Bed, 1.75 Bath Home Conveniently Located in the Heart of Phoenix. Home is perfect for a first time buyer. This home has Brand New Kitchen with appliances included. New Bathrooms, Roof, Windows, Beautiful New Tile throughout the house with new baseboards. New Exterior & Interior Paint. New Electrical and Plumbing system. New Ceiling Fans in all bedrooms. Property has a Large Backyard with Block Fencing, RV Gate and 1 Car carport. Come see this today.